I got a little scare last week when I drove past the location of our new Trader Joe’s and saw that the “Coming Soon” signs had been removed. A wave of panic washed over me: had the deal fallen through? 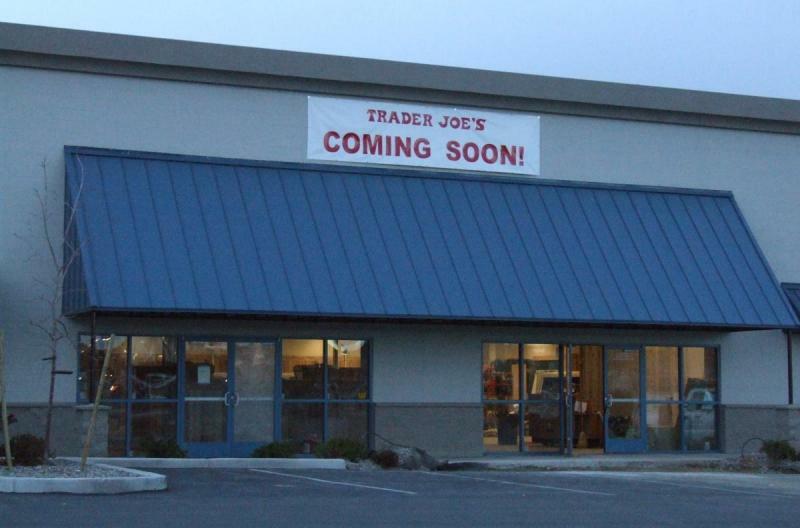 Is Carson City not getting a Trader Joe’s after all? They only took down the small signs so they could put up bigger ones! That’s good news, and it also means that construction should now be starting in earnest. 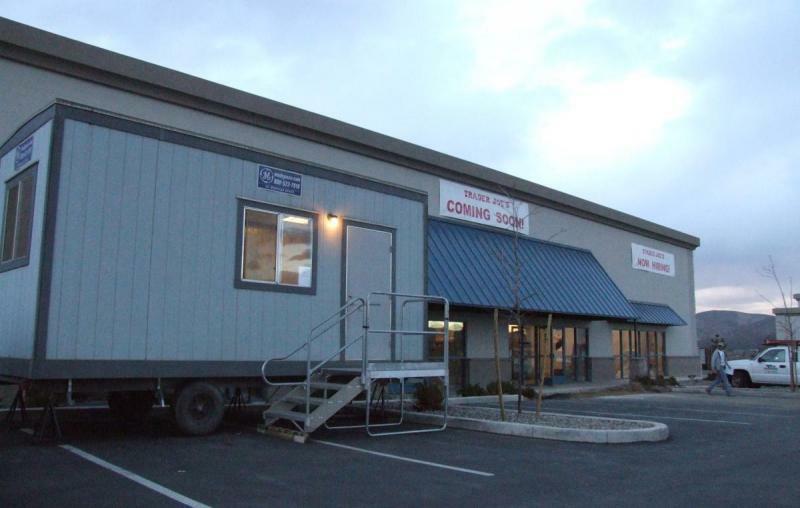 Not only are there work trucks piled up in the parking lot, there’s also a job trailer parked out front. So now it’s just a matter of waiting while the inside of the store is built, the employees hired and trained, and the shelves stocked. And then Carsonites won’t have to drive to Reno anymore to go to Trader Joe’s. They’ll just have to drive to Douglas County. Let’s hope they get it done quick! Trader Joes Opens! 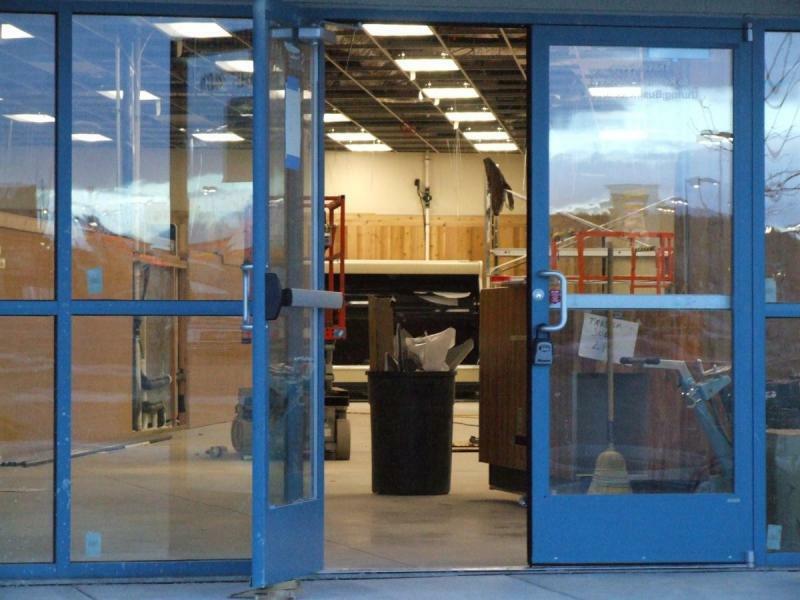 Clear Creek Plaza Trader Joe's Trader Joe's Inside Trader Joe's Trader Joe's Coming to Carson?